To celebrate Season 2 I am counting down with the 22 episodes of Season One. Home » To celebrate Season 2 I am counting down with the 22 episodes of Season One. 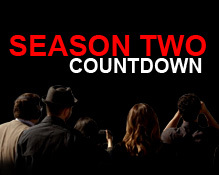 On August 30th, it’ll be 22 days until Season Two premieres (On Sept 21, 9/8c). To celebrate I will be counting down with the 22 episodes of Season One! Each day I will be posting content to Scorpion HQ and to twitter at Scorpion_HQ. If you are a member of the cast and crew of Scorpion and would like to submit content to be posted for the countdown (Perhaps behind the scenes photos, small blurb for an episode etc) you can email me directly or fill out this submission form. Please specify what day / episode you are posting for. See below for posting timeline. Thank you so much in advance for participating! If you are a fan and would like to submit art please feel free to submit via the form. Celebrate with me by posting to twitter and keep checking back each day!